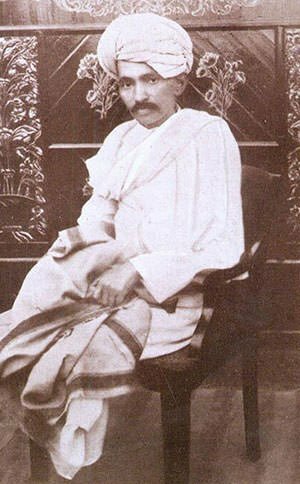 Mohandas Karamchand Gandhi (1869 – 1948), popularly known as Mahatma (“Great Soul”) Gandhi, was an Indian political leader who led his country to independence from the British Empire. He began his career as a lawyer and rose to prominence while fighting racial oppression in South Africa. He returned to his country to lead the Indian Independence movement, starting several prominent campaigns including the Salt March and Quit India Movement. Mahatma Gandhi is most famous for his successful application of non-violent methods, like civil disobedience. He was a source of inspiration for many world leaders including Martin Luther King Jr.; and in India, he is unofficially known as the Father of the Nation. Here are the 10 major achievements and accomplishments of one of the greatest leaders the world has ever seen. 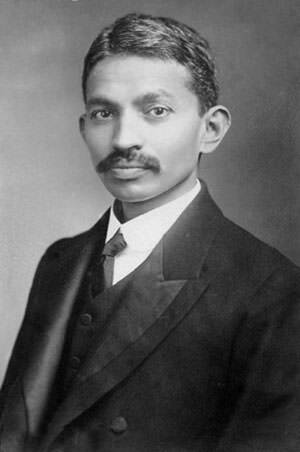 Mohandas Gandhi arrived in South Africa (SA) in 1893 as a legal representative of Indian traders in Durban. He faced the prevalent discrimination against people of colour in SA and decided to take up the fight against racial oppression. At the time, the Natal Assembly was about to pass a law disqualifying voters who were not of European origin and Gandhi became the leader of the Indian community to oppose the bill. Though temporarily delayed due to his efforts, the bill was ultimately passed in 1896. However, Natal Indian Congress, found in opposition to the bill, made the Indian community in SA a unified force. Also, Gandhi soon became a prominent campaigner for rights of the Asian community in SA. In 1906, a law was enacted in SA which required all male Asians in the Transvaal Province to be fingerprinted and carry a form of pass. In response Gandhi started the Satyagraha (‘truth-force’) campaign of non-violent resistance. He urged Indians to defy the new law and to suffer punishments for doing so. The campaign intensified in 1913 in protest against a £3 tax on ex-indentured Indians and because the state refused to recognise Indian marriages. Satyagraha was a 7 year struggle during which thousands of Indians were jailed, flogged and even shot. In 1914, due to public outcry over harsh treatment of peaceful protestors, the Indian Relief Act was passed which withdrew the £3 tax, customary marriages were recognised, and Indians were allowed to move freely into the Transvaal. In 1915, Gandhi returned to India which was under British rule then. Champaran is a district in the Indian state of Bihar. The British forced farmers in the region to grow Indigo and other cash crops instead of food crops. Farmers sold these to mostly British landlords at extremely low fixed prices. This was coupled with bad weather conditions and harsh taxes leaving the famers in abject poverty. Gandhi arrived in Champaran in April 1917. Adopting strategy of non-violent civil disobedience, Gandhi led organized protests and strikes against the landlords. Finally, the British landlords signed an agreement granting more compensation and control to the farmers; and cancelling revenue hikes and collection until the famine ended. During this agitation, people began referring to Gandhi as Mahatma (Great Soul). In 1918, Kheda district in Gujarat, India was hit by floods and famine, leading to crop yields being less than a fourth. However, British government refused requests by the peasants for relief from taxes. Aided by the future Home Minister of India, Vallabhbhai Patel, Mahatma Gandhi initiated a campaign where peasants pledged non-payment of revenue though the government threated to confiscate their land and warned that seized property wouldn’t be returned. 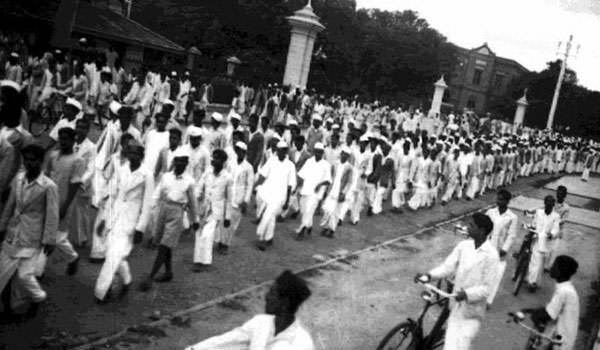 Even with their property seized by the British government, majority of the farmers stood behind Patel and Gandhi. After five months, in May 1918, the government suspended the tax for that year and the next, the increase in rate was reduced and all confiscated property was returned. On 13th April 1919, Jallianwala Bagh massacre took place in which British soldiers first blocked the only exit to Jallianwala Bagh and then fired on a crowd of nonviolent protesters killing around 1,000 people. 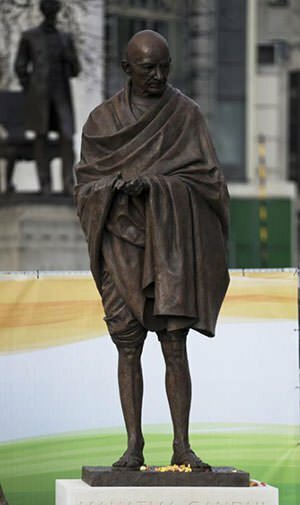 In response Gandhi started the Non-cooperation movement, in which, among other things, he urged Indians to refuse to buy British made goods; boycott their educational institutions and law courts; resign from government employment; and to forsake British titles and honours. Non Cooperation movement was highly popular and successful. In February 1922, in response to three protestors being killed by the police, an angry Indian mob set a British police station on fire killing its 22 occupants. The incident led to Gandhi calling off the movement, fearing it was turning towards violence. The British Salt Act of 1882 prohibited Indians from collecting or selling salt and also imposed a heavy tax on it. In 1930, for 24 days from 12th March to 6th April, Mahatma Gandhi marched 388 kilometres (241 mi) from Ahmedabad to Dandi, in Gujarat, to produce salt from seawater, as was the practice of local populace until the British Salt Act. 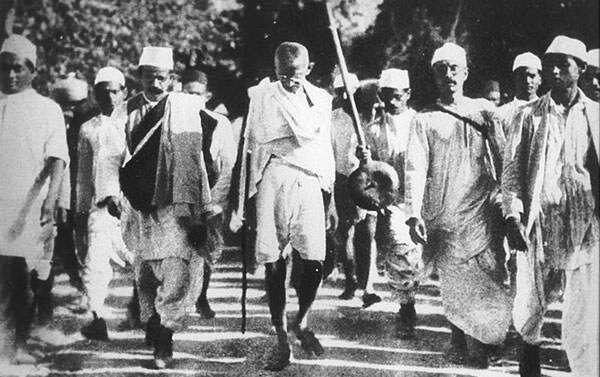 Thousands of Indians joined him in this famous Salt March, or Dandi March. It sparked large scale acts of civil disobedience against British salt laws by millions of Indians leading to 80,000 Indians being jailed. Though it didn’t lead to any concessions, Salt March was extensively covered by media and the world began to recognize the legitimacy of Indian claim for independence. The March to Dandi would later influence several activists including Martin Luther King, Jr.
After World War II started, Gandhi declared that India could not be party to a war being supposedly fought for democratic freedom while that freedom was denied to India itself. He launched the Quit India Movement on 8th August 1942 demanding an end to British Rule in India. He made a call to Do or Die in his Quit India speech. Almost the entire leadership of Indian National Congress was imprisoned without trial within hours of his speech. Despite lack of leadership, large protests and demonstrations were held all over the country. The British made over 100,000 arrests and hundreds were killed. Though Quit India Movement was successfully supressed by the British, they realized it was now impossible to rule India. At the end of Second World War, British indicated that power would soon be transferred to India. Gandhi called off the struggle and around 100,000 political prisoners were released. Mahatma Gandhi was the most prominent leader of the Indian Independence movement and he is unofficially referred to as ‘Father of the Nation’ in India. India gained its independence on 15th August 1947 but it was accompanied by partition of British India into sovereign states of India and Pakistan. This led to widespread riots in the region in which an estimated 200,000 to 2,000,000 people were killed. Mahatma Gandhi appealed to all for peace. In Calcutta, where he was present, he took a fast at the age of 77, which ameliorated the situation in the region. Without his presence, there could have perhaps been even more bloodshed during the partition. Apart from his fight against Britain, Mahatma Gandhi worked on a number of social issues in India. He launched campaigns to improve the lives of untouchables, or lower caste people. His efforts were important in the practice of Untouchability being ultimately discontinued. Gandhi strongly favoured emancipation of women. He opposed the practices of child marriage; oppression of widows; and purdah/burqa, which is women covering their faces in public. He was also successful in enlisting women in his campaigns, including salt tax campaign, anti-untouchability campaign and the peasant movement. This increased the participation of women in Indian public life. Mahatma Gandhi is considered one of the greatest leaders that the world has even seen. His successful application of non-violent methods of protest has proved to be highly influential for numerous movements since then. He proved to be an inspirational figure for several important world leaders including Martin Luther King Jr., leader of African-American Civil Rights Movement; and Nelson Mandela, anti-apartheid activist and first President of South Africa. 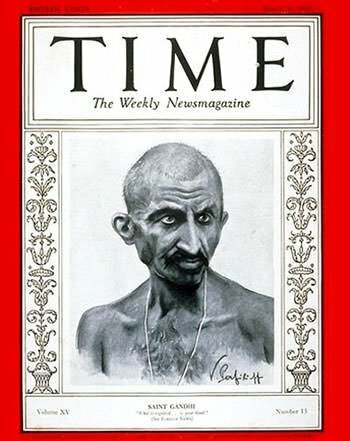 TIME magazine named Mahatma Gandhi the Man of the Year in 1930. He was also chosen by TIME as runner-up to Albert Einstein as the Person of the Century. Gandhi did not receive the Nobel Peace Prize, although he was nominated five times between 1937 and 1948. Later, the Nobel Committee publicly declared its regret for the omission. In 1931, Albert Einstein exchanged written letters with Mahatma Gandhi. In one of these Einstein wrote about Gandhi, “We may all be happy and grateful that destiny gifted us with such an enlightened contemporary, a role model for the generations to come. Generations to come will scarce believe that such a one as this walked the earth in flesh and blood.” Gandhi also exchanged correspondence with Adolf Hitler in which he requested Hitler to make an effort for peace. In this letter he controversially referred to Hitler as DEAR FRIEND. Yes! Finally someone writes about mahatma. I found this very helpful in my research on him. This Was The Most Helpful Website Ever! Very helpful in my research. Definitly five stars! it was really helpful for my studies. Really helped me a lot for my school project. Excellent content. Thank you so much. Wow Gandhi is a GREAT person. Thank you for this excellent analysis. A question for you – are the fantastic photos you have on hear in the public domain. I would love to include a few of them in a presentation I’m doing but wondered if I need permission either from yourself or someone else if they are still under copyright. Any advice on this would be very gratefully received. Hi Sushma, thanks for your appreciation. Some of the photos used in the article are in public domain while others are used under the fair use policy. You will find all these photos on the internet and you may then check whether they are in the public domain. Hi, This helped me a lot. I’m really grateful for this information. It’s just that I want to make sure is No.4. May 1819 or 1919 or 1918. It’s May 1918. It has been corrected. Thanks for pointing out the error. i am researching Gandhi for a research paper and it has such and influence on me. I didn’t think that i would be able to start my research but i have come along way do to some good articles.